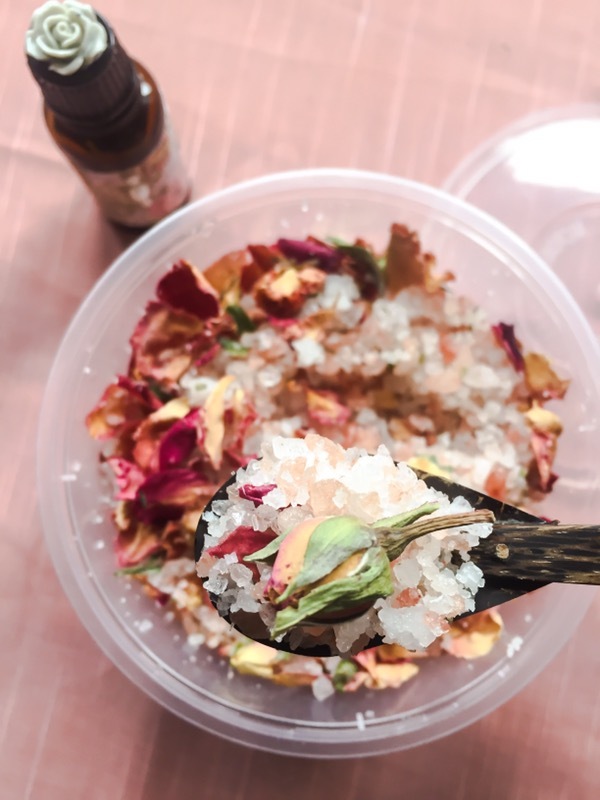 By mixing essential oil with natural salt, we can clean the negative energy accumulated in the mind and body, and make a bath salt to replenish your happy hormones! 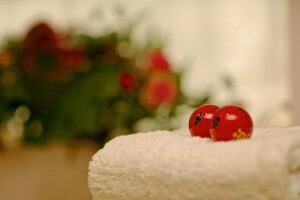 Salt is traditionally known to have a highly purifying effect. In Japanese culture salt is deeply rooted in the practice of purification, being sprinkled after funerals, at sumo wrestling tournaments and so on. From a religious standpoint, the ocean has long been thought of as a place to purify and cleanse, and from ancient times there are artefacts that are believed to have been used as amulets for cleansing with salt. Rock salt (halite), the most famous of which is Himalayan salt, is an ancient sediment left by the drying up of lakes or oceans. It is no wonder, in that case, that rock salt contains an abundance of natural energy and spiritual power from both the water and the Earth. In particular, the Himalayas mountain range – the source of all Himalayan salt – is said to be the ‘god of the world’. It is thought that rock salt from this power spot has an energy purification function. Let’s look at how to make the mix! Blend the two salts with the aim of purifying the soul, clearing negative energy and making you feel refreshed. 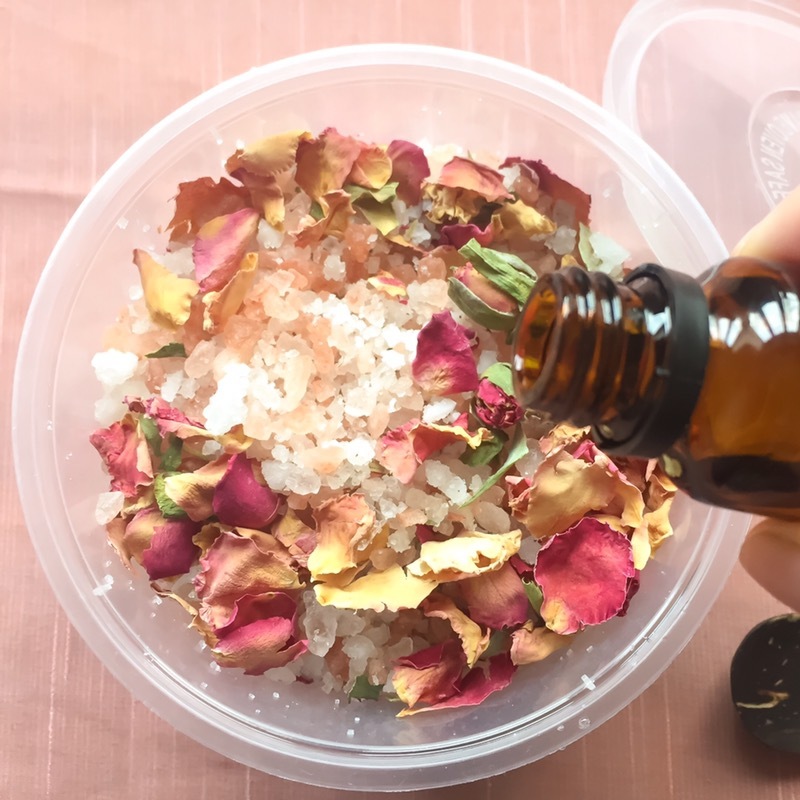 You can promote the secretion of serotonin by using the rose petals as ‘eye candy’ and scenting with Rosie Rose, replenishing the positive energy that lives inside you. I have found myself that these bath salts can bring great satisfaction and relaxation!